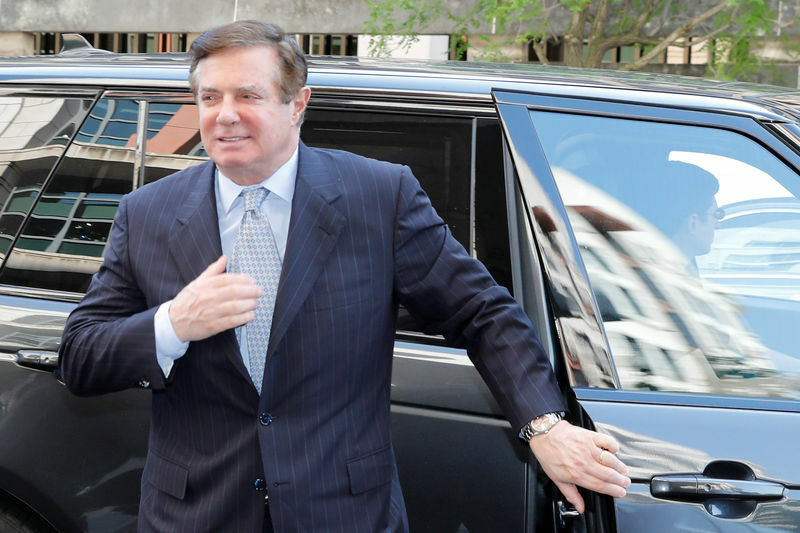 WASHINGTON (Reuters) – A federal judge expressed skepticism on Wednesday toward a request by lawyers for President Donald Trump’s former campaign chairman Paul Manafort to suppress evidence seized by FBI agents working for Special Counsel Robert Mueller. The hearing before U.S. District Judge Amy Berman Jackson gave Manafort another opportunity to hinder the criminal case against him. Jackson last week refused to dismiss the charges, which include conspiring to launder money, conspiring to defraud the United States and failing to register as a foreign agent. Two indictments against Manafort, this one in Washington and another in Virginia, arose from Mueller’s ongoing investigation into potential collusion between Trump’s 2016 campaign and Russia, a probe that could threaten his presidency. He is the most senior member of Trump’s campaign to be indicted, though the charges do not relate to campaign activities. Manafort, trying to deprive prosecutors of what could be pivotal evidence in his Washington trial scheduled for September, is asserting that his rights against unreasonable searches and seizures under the Constitution’s Fourth Amendment were violated in the 2017 FBI raids. Manafort’s lawyers told the judge the FBI conducted an illegal warrantless search in May 2017 on a storage unit by getting one of Manafort’s low-level employees to unlock it and let an agent look inside. The agent later obtained a warrant to seize business records stored there. Defense lawyers said the employee was permitted only to go inside the unit “as directed by Manafort” in the course of his employment, and could not give lawful consent for the search. One of Manafort’s attorneys, Thomas Zehnle, told Jackson that “warrantless searches are disfavored” by courts. “Well, consensual searches are not disfavored,” Jackson replied. Jackson also expressed skepticism as Manafort’s lawyers tried to challenge the scope of warrants issued both for the storage locker and Manafort’s Virginia home. In the July 2017 search of the residence, Manafort’s lawyers contend the FBI improperly seized every single electronic and media device there, and has not returned copies of data unrelated to the case. Jackson noted that devices deemed irrelevant for the case have been returned, and the government also imaged the computers and created search terms to “cull out” materials covered in the case. Manafort performed lobbying work for a pro-Russian former Ukrainian president before serving as Trump’s campaign chairman in 2016. He has pleaded not guilty. Prosecutors also said they expect to call another Manafort attorney, Melissa Laurenza, to testify against him about false statements he allegedly asked her to file with the Justice Department related to his retroactively registering as a foreign agent for Ukraine. Prosecutor Greg Andres said Laurenza is not considered a co-conspirator and was merely carrying out her client’s orders. Laurenza did not reply to an email seeking comment.